Properties in Brooktree average 4.7 out of 5 stars. Great holiday value!! Book now for the 2018/19 Ski Season. Property 2: Great holiday value!! Book now for the 2018/19 Ski Season. No Car Needed, 3 Mins to Free Ski Shuttle, On Bus Route, Close to Vail, What are you waiting for? 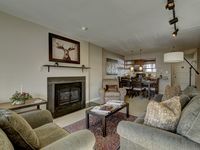 Property 4: No Car Needed, 3 Mins to Free Ski Shuttle, On Bus Route, Close to Vail, What are you waiting for? Property 7: Views of Vail Mountain! If I had anything to nitpick, I definitely would. However, all I can say is this condo is a great size, sleeping arrangements are perfect, and you cant be the location! All in all, staying here made for a fantastic long weekend trip to Vail. We stayed at the Brooktree in Sandstone for a short (4 day) snowboarding trip to Vail in Feb 2019. The description of the place is very accurate. 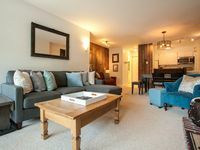 The townhouse was nicely appointed and quiet; it can comfortably accommodate up to 4 adults. We really loved the fireplace &amp; boot warmer on colder nights, and there was plenty of room to spread out. Be advised that the bus stop(s) are located down a road at the back of the building up a couple of flights of stairs. If you are planning to use the free shuttle to Vail and you've got small children, older adults, or are lugging equipment (ski/snowboarding), just keep this in mind. We would stay here again!